Audio files records sounds that are available to human in the acoustic range. They can be saved as short segments and in various format, such as MP3, and wav. Audio is to life what color is to the nature. Songful audio can light life and work with happiness, relaxation and energy. Audio files such as music and radio programs can be stored on multimedia devices like MP3, MP4, desktop, laptop, cell phone, etc. so that users can enjoy music at any time. Also, audio files, for example important speech, chatting and other important or memorable sound can be recorded by recording pen, cell phone and other devices for latter reference. There is no denying that audio files play an irreplaceable part in our lives. We receive and recognize sound in real life and make use of them to colorize life. We listen to music, attend audio meeting, listen to radios, send audio messages, etc. All of these won’t work normally without audio files. Audio files are of great importance, and audio file recovery can be a necessary skill when data loss happens. Accidental file deletion. It is understandable that users clear up computer, aiming to speed it up and free up more disk space. And it is indeed necessary to delete junk files and redundant data, manage files better and make better use of disk space. However, users usually lost files due to unconsciously deletion and accidental removing data. Incorrect operation. Removable storage devices like memory card have to be plugged to computer USB port first before transferring or backing up data. Some users don’t in the light of advised way of unplug portable device. Abrupt remove external device may cause file system corruption, whose consequence is inaccessibility of partition. Other reasons. Virus is another familiar cause which is hard to avoid. Moreover, bad sector, system crash, drive failure, etc, can lead to data loss, as well. To recover lost audio files, you’ll need audio recovery software. 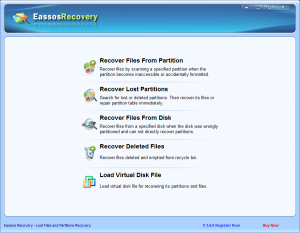 If you are confused to choose recovery software, you can have a try of Eassos Recovery which is a highly-recommended file recovery software in the data recovery field. 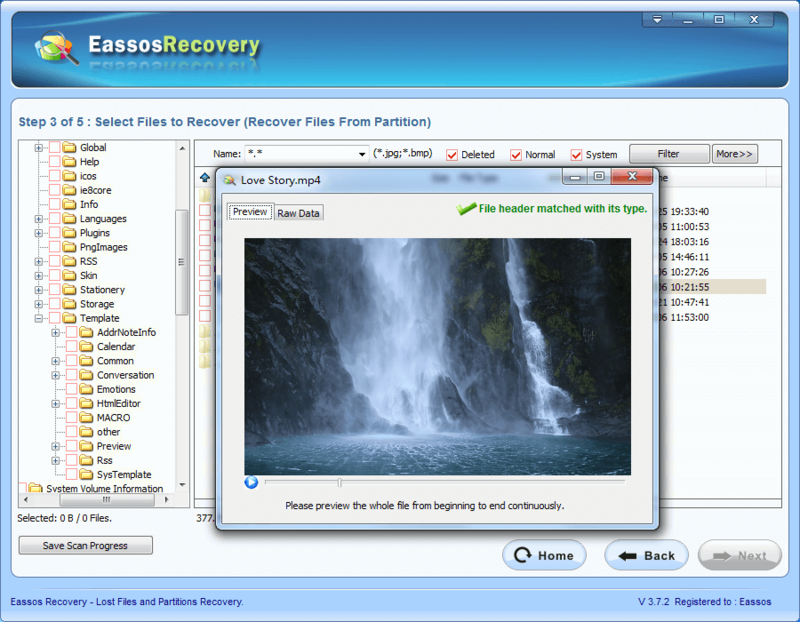 Eassos Recovery is able to recover various types of audio files, for instance, mp3, s48, wav, ape, wma, amr, ogg, spx, opus, ogv, ra, au, m4r, m4a, aif, aiff, afc, mmf, mid, etc. what’s more, this recovery software can recover videos, photo, documents, email, apps, and more. And the following part is an easy guide of audio file recovery. Step 1: Download and install this file recovery software. Then get it started. Step 2: Choose the correct recovery mode for lost audio files. Step 3: Select the drive or partition that loses audio files and click “Next” to start file scanning. Step 4: Preview and restore audio files. After the process of file scanning, all recoverable files and folders will be displayed. You can preview audio files and pick those you want to restore by checking the box before files. Then click “Next” button to save them to another disk or partition. 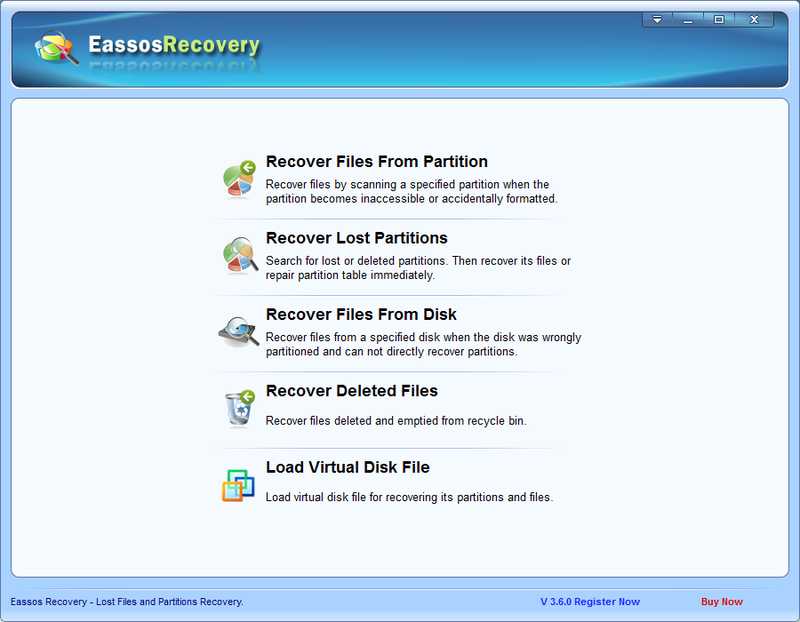 This entry was posted in Data Recovery and tagged Audio file recovery, audio recovery software, file recovery software by EASSOS. Bookmark the permalink.